Yesterday, I stayed up late. It has been the case for the last month or so. Sleep hasn’t been a priority initially, but for the last week it has been a privilege that takes me away from the reality. Yesterday after midnight, I thought to myself that maybe writing will do me some good. On a painful day, 12th June to be precise (Evening of 24 Shabaan) filled with sorrow and grief, my mother passed away. It happened after a long and painful fight with cancer. I saw it coming the last few weeks as her body functions were lost one by one. I can still feel the sense of despair, the feeling of hopelessness, the inability to do anything when your loved one is in severe pain. My brain brings the memory of the day with her face, her body there, my brothers getting her body for burial, the women hugging me and the cries, I wasn’t able to breath at some point and needed to be away from the 100s of people. My aunts say that I have been very strong. I believe it is not strength. At that time, I thought to myself she is in a better place as my heart was aching with the pain she was going through before her death. I can feel my weakness now, trying to keep strength for the sake of my father and brothers. For the sake of my sanity. رحمها الله وغفر لها واسكنها فسيح جناته..
التدوينة السابقةPhotos of over two months.. 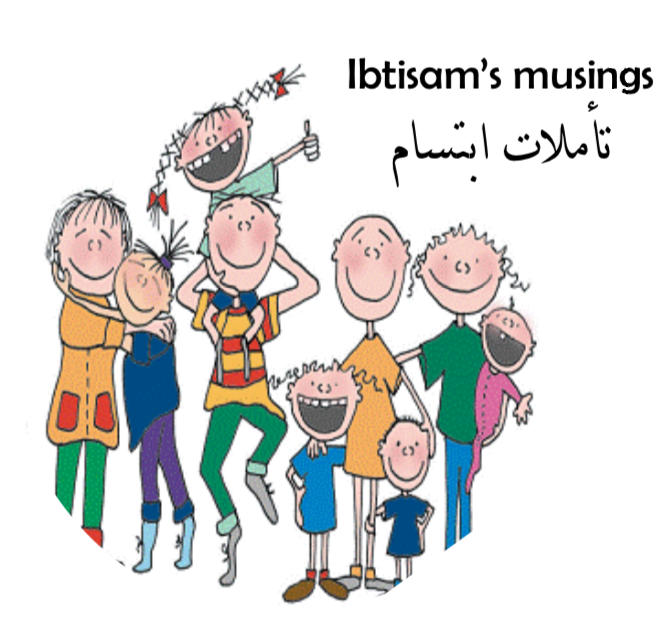 Thinking of you sweet Ibtisam during these dark hours and painful time. We are never prepared to see our loved ones suffering and dying. May God ease your pain and heal your gentle heart. Cry out to him if you feel the need for it. God is always there for the ones he loves. Yes true, nothing can prepare us. The memories chase us, the pain is always there.